The water problems and debate in Dimmock Pennsylvania continue. CABOT GAS, gas drilling company does not need to provide additional water to residents. Property owners claim that methane levels in their water are increasing. Experts continue to fight over the water issues. The thirteen (13) lawyers at Dougherty Leventhal Price LLP—PENNSYLVANIA TRUCK ACCIDENT LAWYERS AND MARCELLUS SHALE DRILLING RIG ACCIDENT LAWYERS–CONTINUE TO FOLLOW THIS AND OTHER GAS DRILLING ISSUES IN CENTRAL AND NORTHEASTERN PENNSYLVANIA. The boundaries for the Marcellus shale gas field in Pennsylvania are still being defined. Drilling rigs are popping up at full speed in counties such as Bradford, Susquehanna and Tioga Counties. However, fields are still undefined and the number of drilling rigs under construction have leveled off or declined in counties such as Wyoming, Luzerne and Potter Counties. 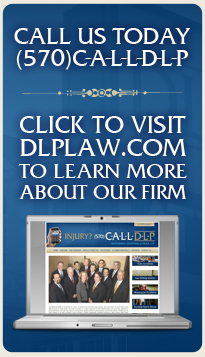 The thirteen lawyers (13) at DLP:–PENNSYLVANIA TRUCK ACCIDENT AND MARCELLUS SHALE GAS DRILLING RIG ACCIDENT LAWYERS continue to follow this and other gas drilling issues in Northeastern and Central Pennsylvania. Voters in an affluent suburb of Pittsburgh have convienced a local judge to allow a referendum on the November, 2011 ballot to ban gas drilling in the community. Residents of Peters Township, Pennsylvania will be the first municipality to vote on permitting drilling rigs in their town. Township officials had fought to keep the issue off the ballot. Township officials may appeal. The thirteen (13) lawyers at DOUGHERTY LEVENTHAL & PRICE LLP—PENNSYLVANIA TRUCK ACCIDENT LAWYERS AND MARCELLUS SHALE DRILLING RIG ACCIDENT LAWYERS—continue to follow this and other Marcellus Shale drilling issues in Northeastern and Central Pennsylvania. Over 1600 attendees are expected to meet in Philadelphia this week for the first annual Marcellus Shale Gas Convention . The event is expected to draw gas industry leaders from throughout the Commonwealth and Country. Governor Tom Corbett and former governors Ed Rendell and Tom Ridge are expected to give speeches touting Pennsylvania as the new gas drilling leader. The twelve lawyers at Dougherty Leventhal & Price LLP, DLP, PENNSYLVANIA DRILLING ACCIDENT/TRUCK ACCIDENT LAWYERS, will follow the events at the convention and report on results at a later date. The order against EOG Resources Inc. will remain in place until DEP can finish its investigation. HARRISBURG — Pennsylvania regulators halted work Monday at dozens of unfinished natural gas wells being drilled by the company whose out-of-control well spewed out explosive gas and polluted water for 16 hours last week. The order against Houston-based EOG Resources Inc. will remain in place until the Department of Environmental Protection can finish its investigation and until after the company makes whatever changes may be needed, Gov. Ed Rendell said. The order stops EOG from drilling and hydraulically fracturing wells. It affects about 70 unfinished EOG wells into the gas-rich Marcellus Shale formation. Another concern was the apparently bungled attempts to notify the right emergency-response officials about the accident. Fines are likely, said Environmental Protection Secretary John Hanger. Nobody was hurt in Thursday’s blowout in a heavily forested section of north-central Pennsylvania. The accident shot highly pressurized gas and wastewater as high as 75 feet. The gas never caught fire, but state officials had worried about an explosion and ordered electrical service to the area cut before specialists secured the well at about noon Friday. About 35,000 gallons of wastewater have been pumped into holding tanks so far, the company said. Monitors in a nearby spring show signs of pollution, although Hanger said the spring is in such a rural area that it is not viewed as a public health hazard. Officials say they have detected no pollution in larger waterways that feed public water supplies. The state says the company is cooperating and is supportive of the stop-work order. Gary L. Smith, vice president and general manager of EOG’s Pittsburgh office, said the company regrets the accident and would continue to work with Pennsylvania officials. “After the investigations are complete, we will carefully review the findings with the goal of enhancing our practices,” Smith said. “When all outstanding issues are resolved, we look forward to resuming full operations in Pennsylvania,” Smith added. DEP officials said the well’s blowout preventer failed, and they were investigating whether the failed equipment was the primary cause. A blowout preventer is a series of valves that sit atop a well and allow workers to control the pressure inside. Hanger and EOG said the blowout preventer had been tested successfully by the company on Wednesday morning.